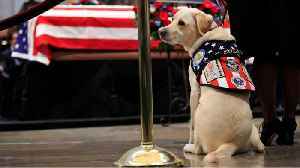 Sully, the yellow Labrador retriever service dog of late former U.S. President George H.W. 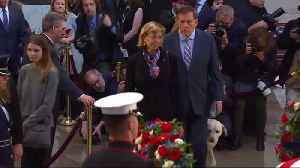 Bush, came to the U.S. Capitol Rotunda on Tuesday to say goodbye to the 41st president. 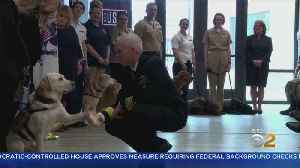 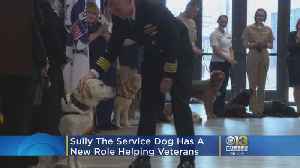 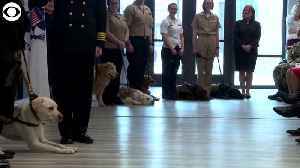 ROUGH CUT (NO REPORTER NARRATION) Sully, the yellow Labrador retriever service dog of late former U.S. President George H.W. 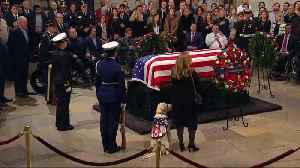 Bush, came to the U.S. Capitol Rotunda on Tuesday to say goodbye to the 41st president, who died last week at the age of 94 after a life of service as a World War Two hero, head of the CIA and wartime president. 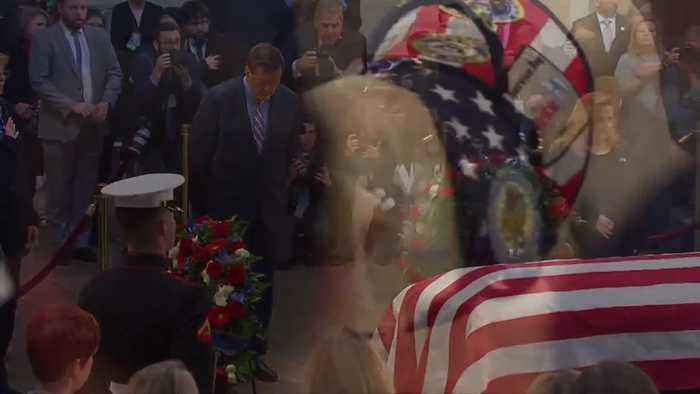 It will be transported to the Washington National Cathedral early on Wednesday for a memorial service. 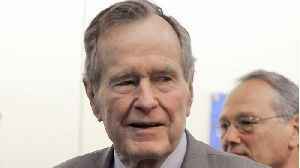 Bush, father of the 43rd president, George W.
Bush, will be buried on Thursday in Texas.